The whole topic of weather can be tiresome. Here on the farm we’re always thinking about it, talking about it (& sometimes complaining about it), continuously checking the forecast, and of course dealing with weather and it’s effects on a daily basis. It’s a big part of our life – like it or not! The winter was long and cold. 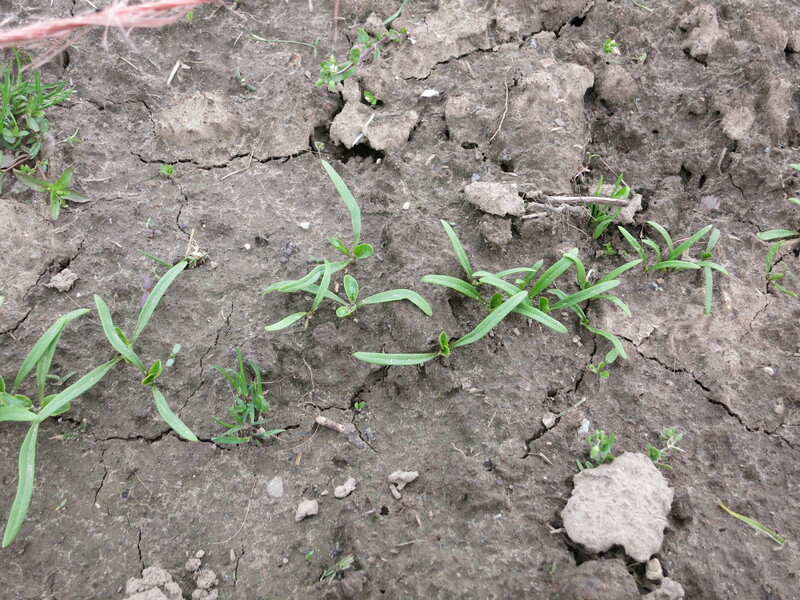 But now that the plants and trees are growing, we have a true picture of how the winter affected them. Overall, things survived quite well on our farm. 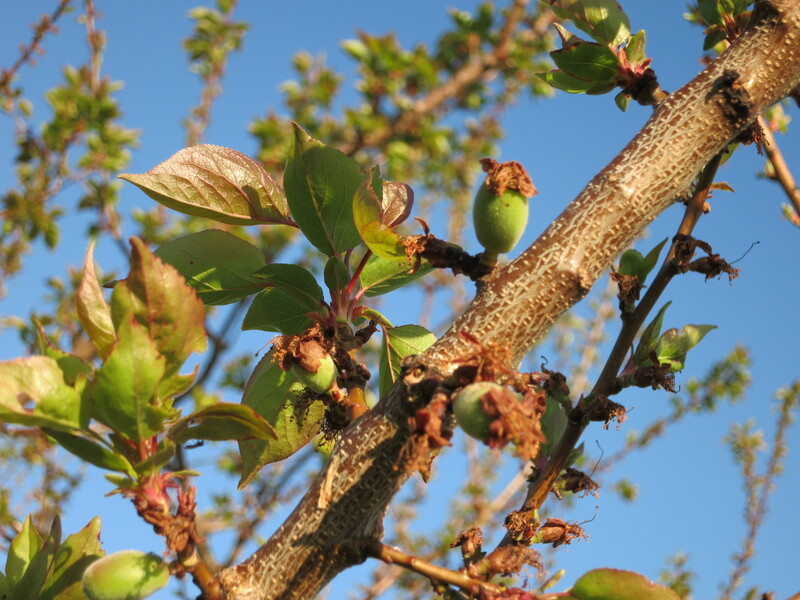 The fruit trees suffered almost no damage – neither from cold nor ice. Most of the raspberries are looking good. Only the blackberries were harmed, probably due to the cold, drying winds as much as the low temperatures. Many of the canes are dead, but not the roots. 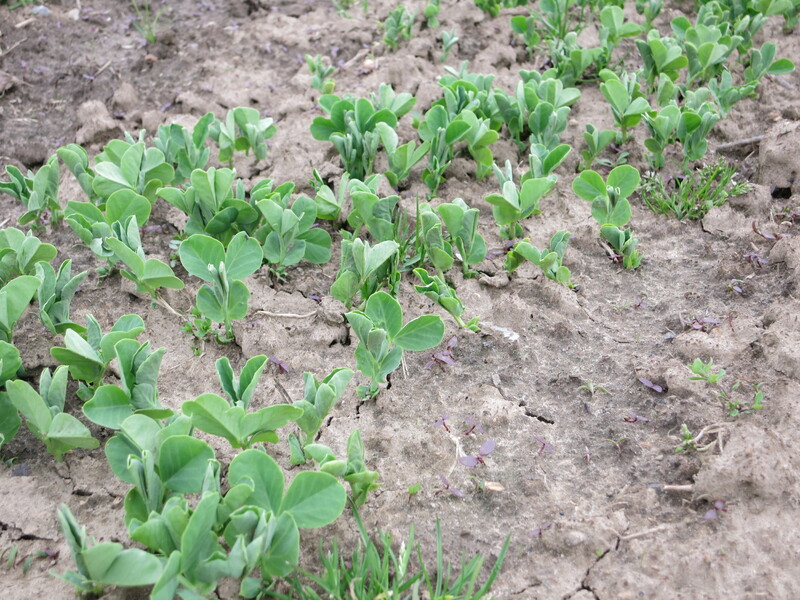 This means a much smaller crop this season, but the potential for a full crop again next year. Spring has been cold and wet. 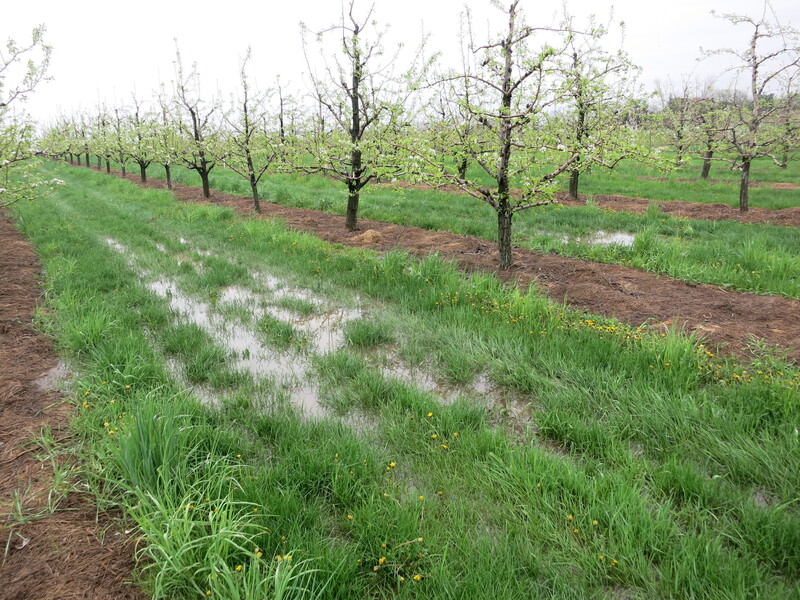 This was our pear orchard 1 week ago. In the orchards the blossoms have come and gone. While some years we can’t stop admiring them & taking pictures, this season they didn’t seem to put on as much of a show – blame it on the weather! 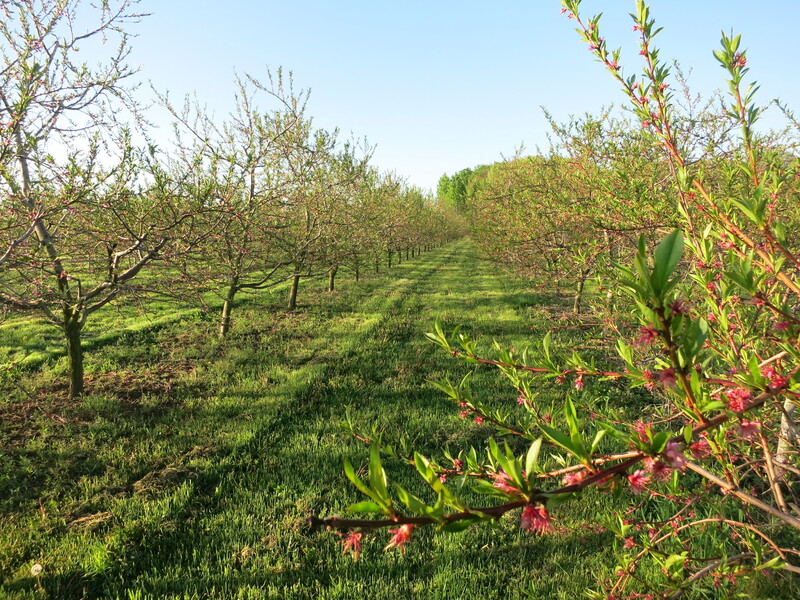 Now we’re waiting to see if the blossoms set, and what the fruit crop will be. 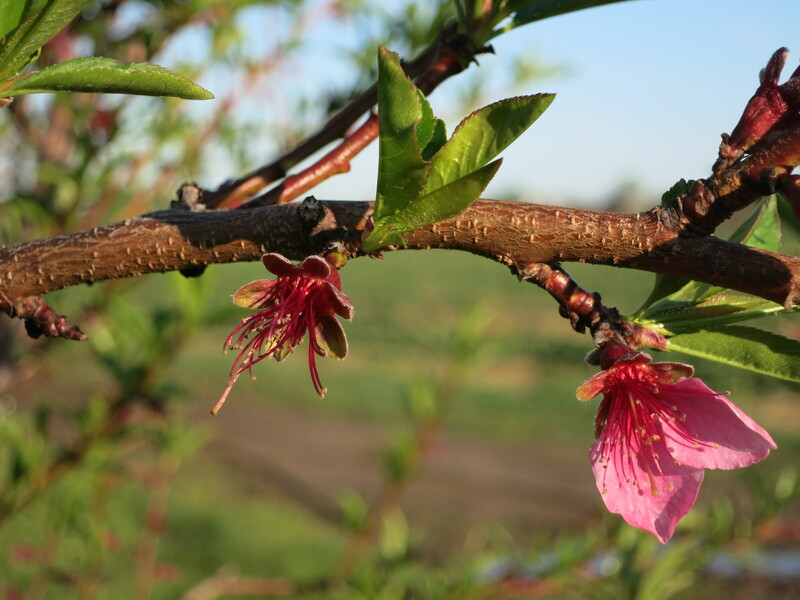 Once the flower petals fall off, the fruit – peaches in these pictures – will grow, and finally split the shuck , which is the remainder of the blossom. But if we open the shuck now, the tiny, fuzzy peach is already visible. 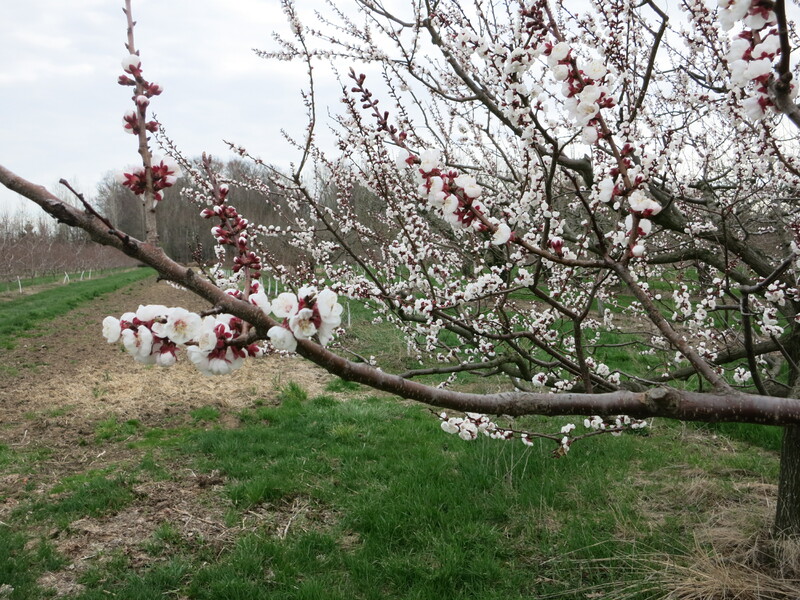 The apricots, which bloomed the earliest, have already begun to split their shucks and the fruit can be seen. 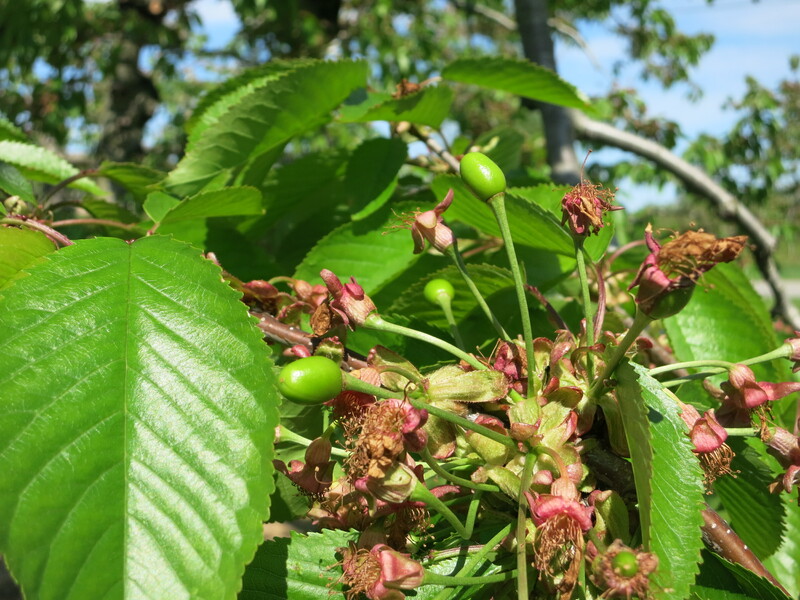 Cherries as well … It’s very exciting to see the fruit forming & growing! 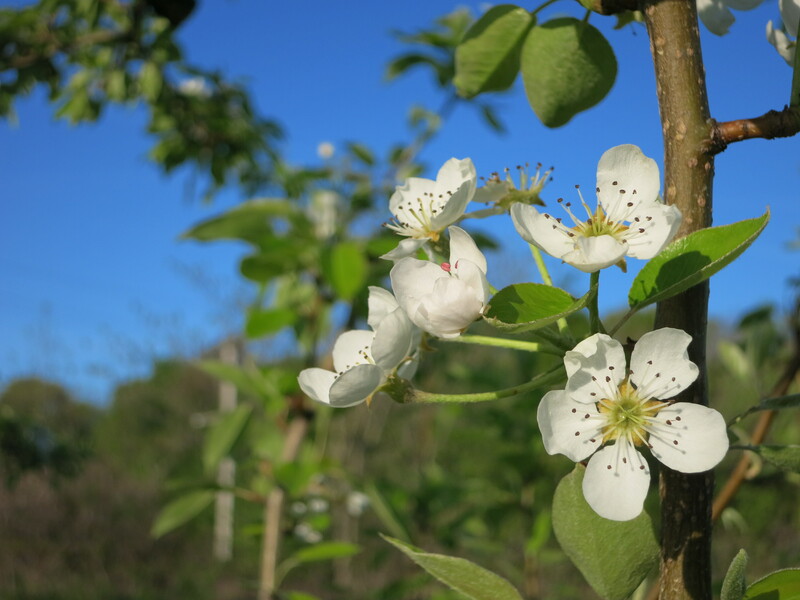 Only the pears are still in blossom. 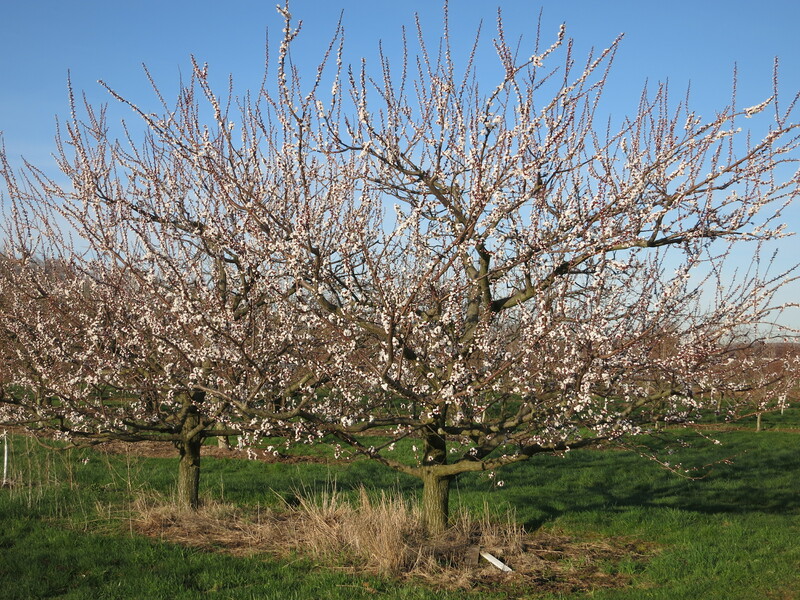 Overall, the weather has put us about 10 days behind last year in terms of tree & fruit development. 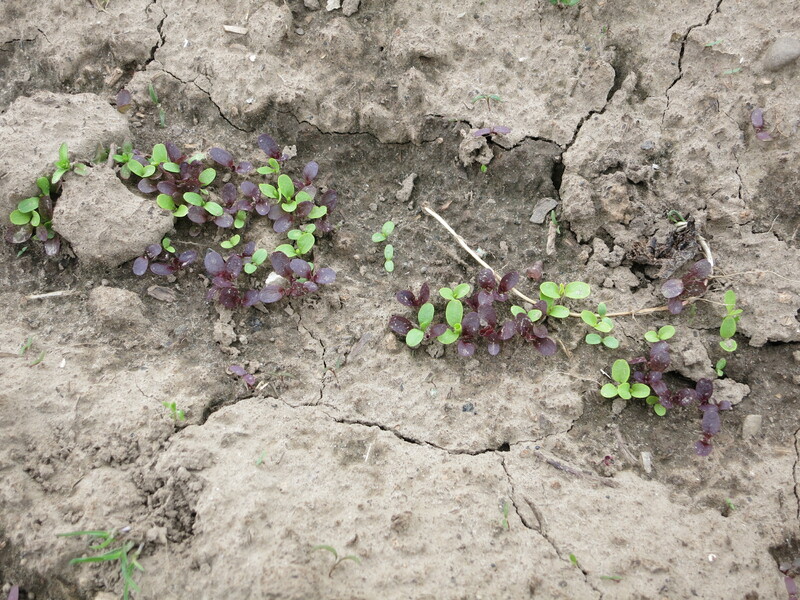 Slowly but surely the crops are growing. 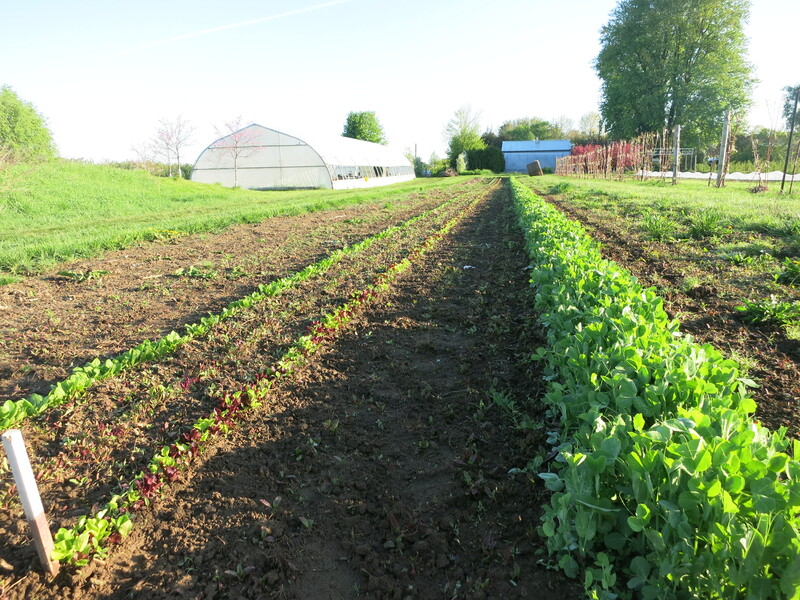 Unfortunately not fast enough to start our CSA program in May as planned. 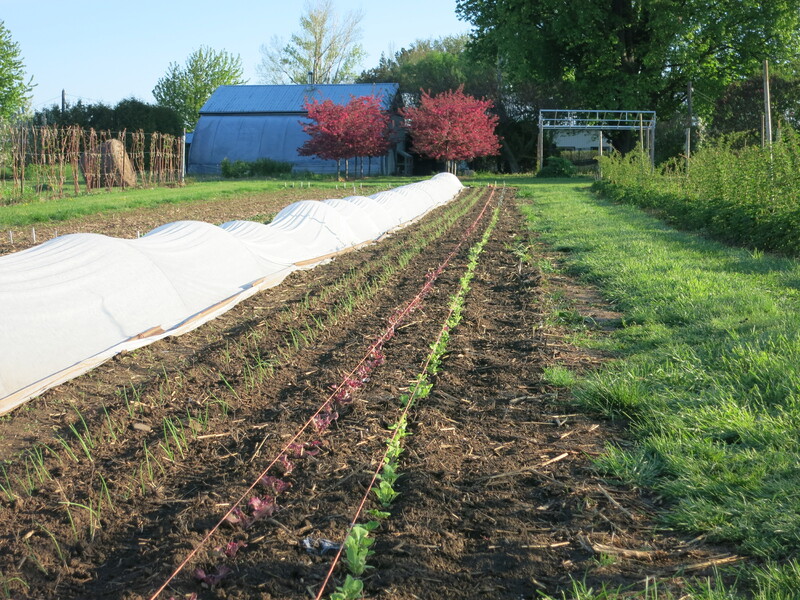 Onions, more lettuce … Under the row cover are radishes and Asian greens. 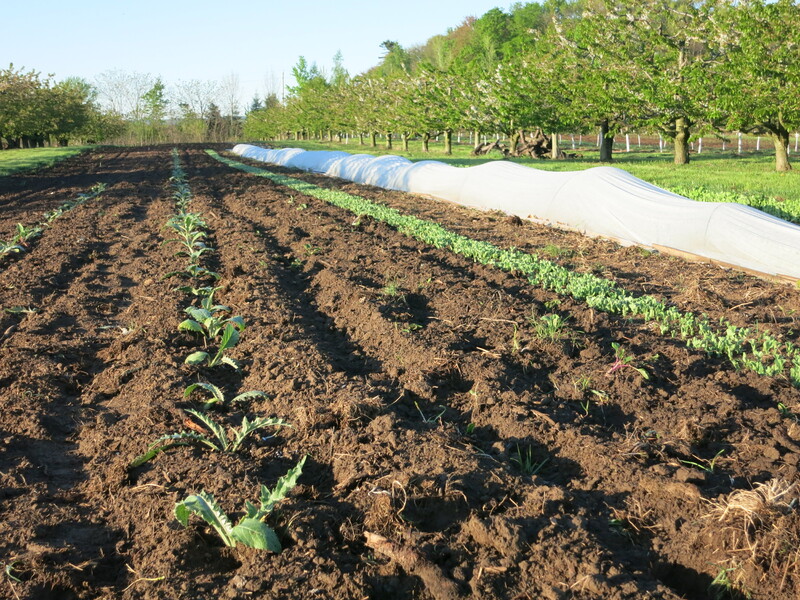 The row cover keeps the leaves from being chewed up by insects. Notice the raspberries on the right looking lush & green. The blackberries are on the far left – not much green showing! By the end of week it was dry enough (thanks to our well draining, sandy soils) to plant out some tomatoes – at least those plants that were big enough to set out. 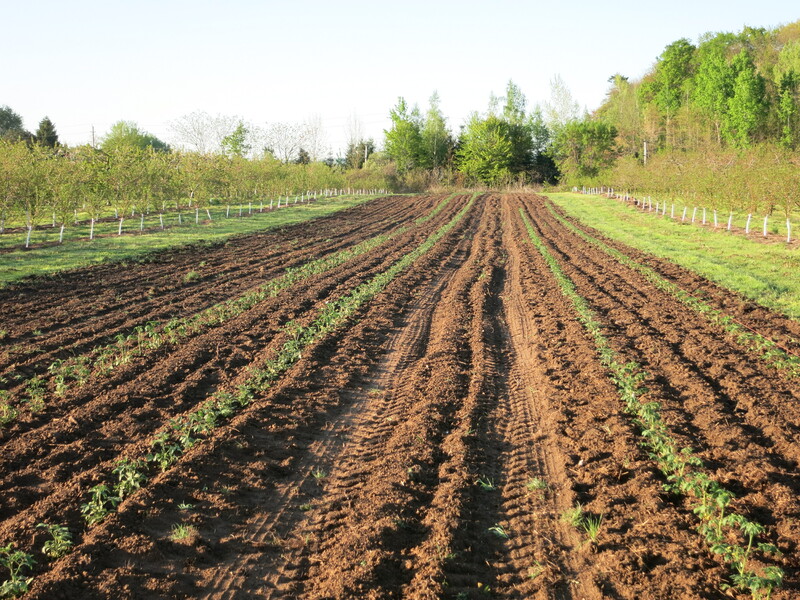 We also transplanted a brand new crop that we are trying this year. Can you identify the plants on the left? It’s a wonderful time of year! 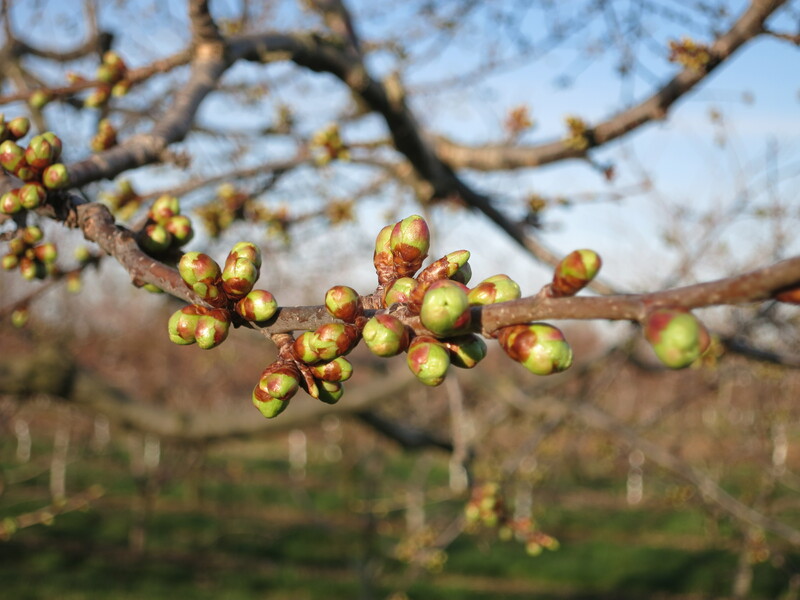 The bright, vibrant greens of the emerging leaves, the coloured blossoms and flowers, the growing fruit. The forecast for the coming week promises more sunshine and warmer temperatures for both day & night. Combine this with all the moisture in the ground and everything is going to explode with growth. 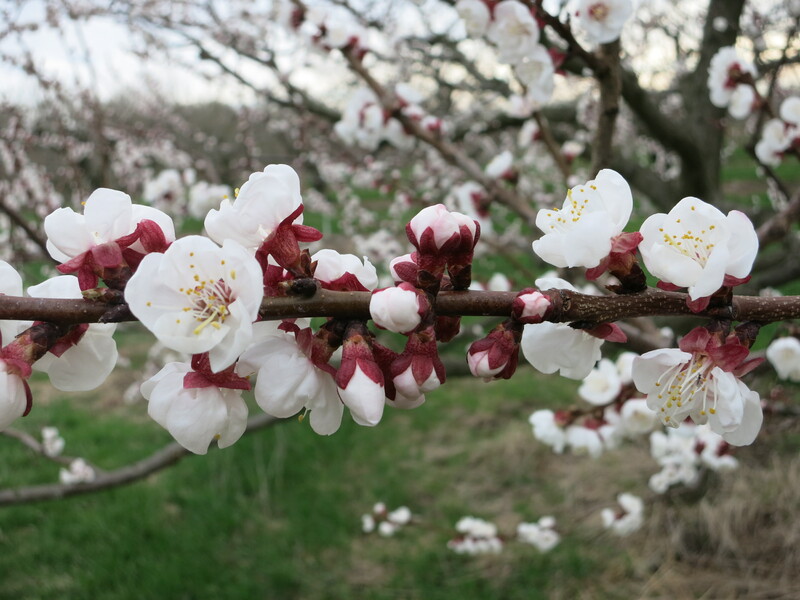 There’s nothing like the first fruit blossoms to lift the spirits & confirm that spring has indeed sprung. 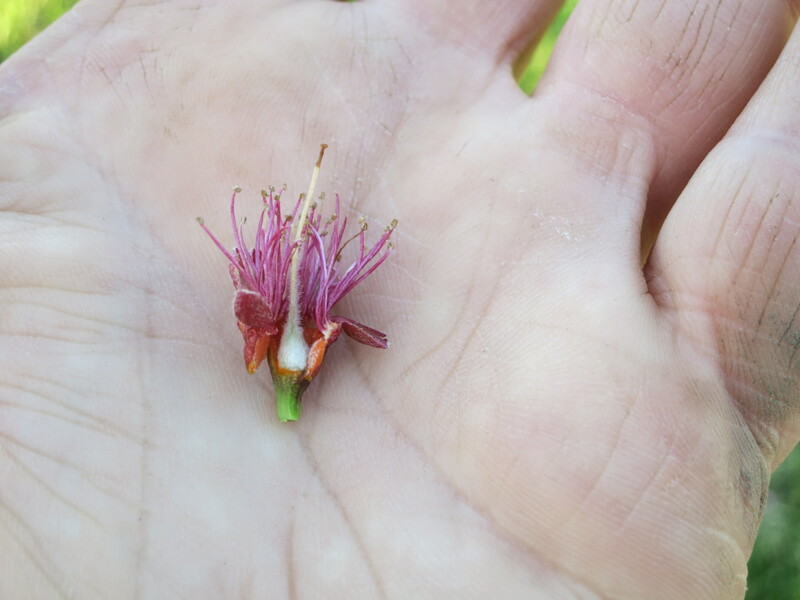 We find ourselves going out to visit them several times throughout the day – almost as if we have to reassure ourselves that they are really blooming. And not only are they beautiful to look at, their fragrance is incredible too. And the noise! Because it was sunny today, the blossoms were literally buzzing with bees. Where do they come from? The hives we rent for pollination have not yet arrived. I guess these are wild bees? Regardless, they were very busy doing their thing – for which we are grateful. The cherry blossoms are not too far behind. 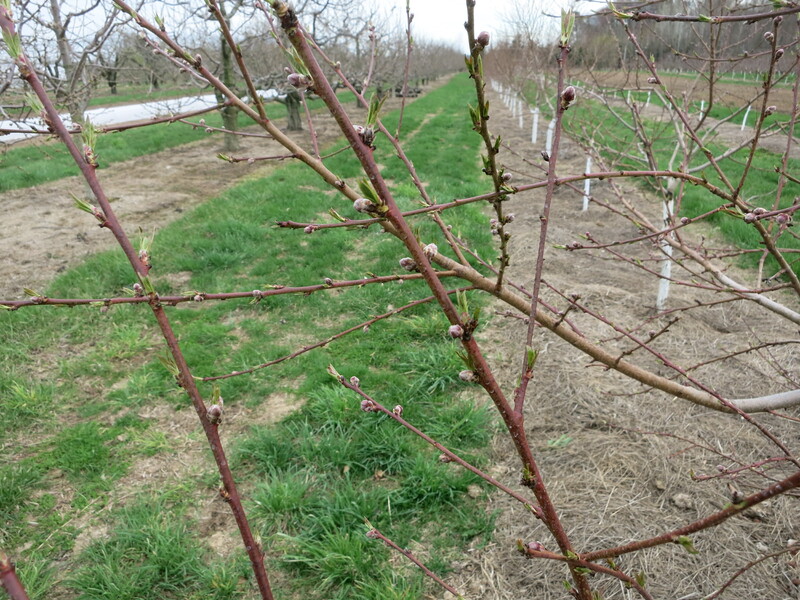 The peach buds are swelling too. We’re finally seeing things up & growing. Spring has been a long time coming – but now it’s here & we’re happy!